Almost from the day he put pen to paper on his contract, Cleveland Browns wide receiver Dwayne Bowe has been the focal point of anger from fans and questioning from the media. A member of the inactive list in four of Cleveland’s first six games, Bowe has only been on the field for 12 offensive plays, and has yet to post a reception. In the meantime, much has been made of the $9 million in guaranteed money that is in Bowe’s contract. 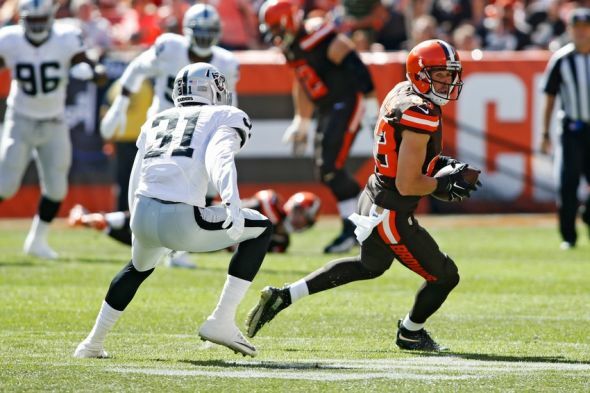 While it is easy to understand the angst over Bowe, why is no one focusing the same attention on Brian Hartline? To find out the rest of the story, visit our latest post at Dawg Pound Daily.